Commonly called cholecalciferol, Vitamin D3 deficiency can lead to bone pain and muscle weakness among other symptoms; in little kids in particular. So it is important to maintain the right level of vitamin D3 in your body. While sunlight is a great source, vitamin D3 can and should be taken as supplement, when needed. 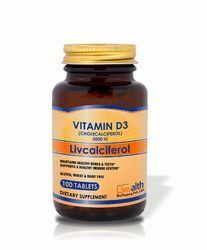 Vitamin D3 (40000000IU/g) It is structurally similar to steroids such as , cholesterol, and cortisol (though vitamin D3 itself is a secosteroid). 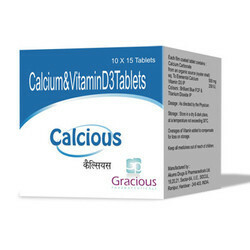 Vitamin - D3 250 IU.